There is so much “fluff” out there on the web today and so much content is simply re-spun from other sources. To truly reap SEO benefits, content needs to provide value in some way (provides information, answers a question, solves a problem, or is even entertaining) and it needs to be original. Yes, there are only so many topics to cover, but it’s important to incorporate your own company and brand thoughts and identity into each piece to make it stand out from the rest in order to attract attention. Think about what your target audience is interested in when you devise a content plan and don’t just focus on your own promotional needs. It’s really pretty straightforward. 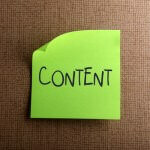 SEO content should be optimized content. 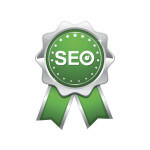 However, we see so many pieces of content that aren’t quite hitting the mark in the SEO department. Maybe keywords aren’t incorporated, maybe the meta information on the back end (title, description) is missing. If you’re going to spend the time writing content, optimize it in order to generate traffic from the search engines over time. We don’t mean that the tips or advice in the content is easy to use. We mean that the content is user-friendly, in that the web page loads quickly, is easy to read, is mobile friendly, and free of ads and unrelated sponsored links. Even if the actual text content is great, if it’s hard to read on the device being used, readers might go elsewhere. And they certainly won’t share the link. After generating traffic, the next goal of SEO content is for it to be shared. Make it easy for readers to share and link to the web page by creating a simple, clean URL and including all relevant social sharing buttons on the post. Committing to writing SEO content regularly is a great first step, but it’s also important to keep these things in mind as you create your strategy in order for the content to have the biggest SEO impact.